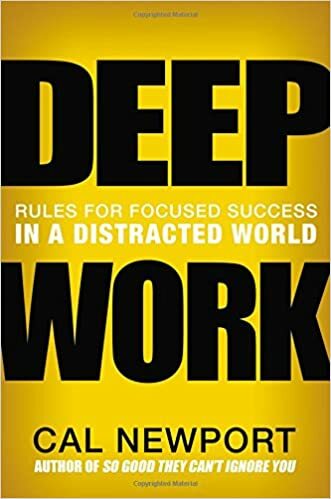 As last week’s 200 word idea on “Addicted to Distraction” touched on a very specific problem of our age, I thought it might be useful to continue digging deeper into the problem and potential solutions in a “deep work” series inspired by Cal Newport’s latest book on the topic. In a popular paper on multitasking, researcher Sophie Leroy studied the effect of multi-tasking on performance by forcing task switches in the laboratory (e.g. asking people who were solving word puzzles to switch to review resumes). The results from this and her similar experiments led her to coin the term “attention residue.” When you switch your attention from Task A to another Task B, your attention doesn’t immediately follow – a residue of your attention remains stuck thinking about the original task. And, people experiencing attention residue were likely to demonstrate poor performance on that next task. The more intense the residue, the worse the performance. In our work lives, there are 2 sources of attention residue – back-to-back meetings on different topics and smartphone distractions. The more the attention residue, the more we find ourselves in a state of “shallow work” – time when we don’t push our cognitive limits. How do we fix this if multiple projects is a reality? A simple idea to get us started is to plan weeks in a way where we spend large chunks of time (e.g. an afternoon) on specific projects. More such ideas and ways to think about the problem and its solutions in later editions..
Education changes the way you approach problems. Any experience that has a formative and positive effect on the way you think, act, or behave, is, in essence, educational. So, it follows that an educator is someone who has had a formative effect on the way you think, act or behave. We don’t stop having educators once we leave school. Instead, our formal educators are replaced by informal educators – colleagues, friends and family we learn from. Let’s take a moment and think about educators in our lives in the past months – people who’ve changed the way we think, act or behave. And, let’s consider if we’ve done our bit to share lessons we’ve learnt and been educators ourselves, too. PS: The truest sign of an educator – they are students first, sharers and teachers second. The FiveThirtyEight website had a nice birthday tribute to Wayne Gretzky’s incredible stats. I didn’t know much about Gretzky aside from his oft-quoted quotes. And, I found it very interesting that Gretzky’s size and strength were described as unimpressive by NHL standards. In fact, he was described as “too small, too slow and too wiry” when he started out. 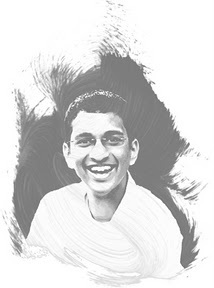 He was, however, blessed with athleticism and had worked hard to build up great reservoirs of stamina. But, even that, by NHL standards, didn’t make Gretzky exceptional. These skills were a dime-a-dozen. Despite his unimpressive stature, strength and speed, Gretzky’s intelligence and reading of the game were unrivaled. He was adept at dodging checks from opposing players, and he could consistently anticipate where the puck was going to be and execute the right move at the right time. Some say I have a ‘sixth sense’ … Baloney. I’ve just learned to guess what’s going to happen next. It’s anticipation. It’s not God-given, it’s Wally-given. He used to stand on the blue line and say to me, ‘Watch, this is how everybody else does it.’ Then he’d shoot a puck along the boards and into the corner and then go chasing after it. Then he’d come back and say, ‘Now, this is how the smart player does it.’ He’d shoot it into the corner again, only this time he cut across to the other side and picked it up over there. Who says anticipation can’t be taught? See, kids usually don’t start playing hockey until they’re six or seven. Ice isn’t grass. It’s a whole new surface and everybody starts from ground zero. … By the time I was ten, I had eight years on skates instead of four, and a few seasons’ worth of ice time against ten-year-olds. So I had a long head start on everyone else. Fascinating. Anticipation transformed a played with below average NHL attributes to someone widely considered to be the greatest hockey player of all time. And, best of all, this ability to see ahead was trained – from the age of 2. Seeing ahead is a skill. The MBA learnings series has two objectives. The first is to develop the discipline to synthesize and share some powerful concepts I’ve learnt while at school. With about four and a half months left at school, I’m hopeful that I’ll continue to do this after I graduate as well. The second has been de-mystify what the journey is really about. I have been surprised at the lack of really good resources on this topic and I hope to have a definitive list of 8-10 posts on the topic that will be helpful to prospective, admitted and current students after I graduate. I’ve listed the 5 posts written so far, below. Today’s topic is one that aims to de-mystify an important part of the MBA experience – finding a job or, to use a one-word description, “recruiting.” My experiences – both as someone going through the journey myself as well as someone attempting to help others through the experience – have shown that recruiting is hard. It is probably the single hardest piece of the graduate school puzzle. It is easy to laugh – this is almost as privileged a place to be when it comes to finding a job. Some of the best employers around the world make it a point to invest hours and days on campuses to talk to students about what life at their firm is like. All definitely true. But, I don’t think life gets any easier when you are Bill Gates. Sure, you take away worries around shelter, sustenance, and the like. But, the kind of challenges you face are in no way inferior to everyone else. In fact, it is my belief that challenges of the mind tend to be the hardest to talk about and deal with. As evidence, I have learnt that students from the law school and business schools at most universities are the biggest users of on-campus counseling services. I think this part of the experience is particularly hard for three reasons. First, every person going through the process has a track record of success that got them into school. It feels natural to expect this to work well with relative ease (and, in a few cases, it does, too). Second, the fact that you’re going through it with so many classmates – some of whom do better than you by balance of probability – increases the pressure. 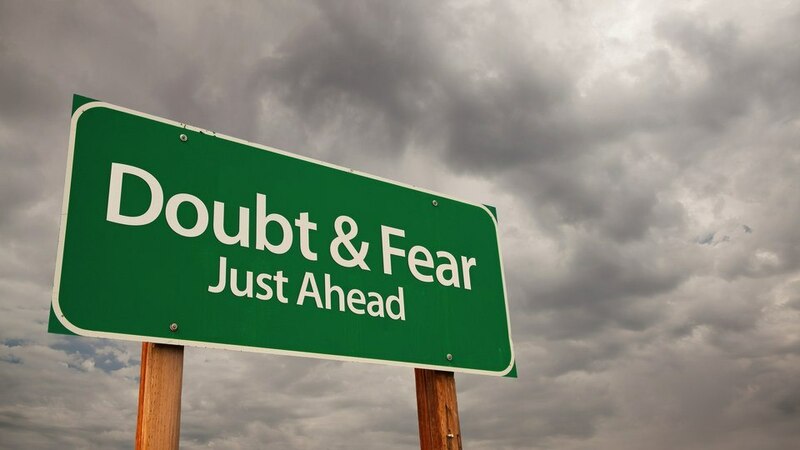 And, finally, most of these folk have received really bad career advice in the past that has led them to believe that there is that one “dream company” out there for them. In my case, I think the peer pressure involved with the experience definitely made me question my own competence and abilities more than once in those moments. I made a couple of unusual choices and those came back as questions – did you do the right thing? What if you had done things differently?, etc. It also took what seemed like ages for any progress to come through. It was tough and it definitely felt like a journey through self doubt. It all worked out though – as I believe it did for most folk who put in the work. That doesn’t mean it is easy. And, it definitely doesn’t mean it isn’t worth it. 1. Focus on the feeling of walking away knowing you did your best. At every point, I just focused on getting to one thing – the feeling of walking away from the interview knowing I gave it my best shot. Since all my energy was focused on that one goal, it made my life a lot easier since I didn’t attach myself to any one outcome. This also took away any possible focus on a “dream job.” Sure, I felt extra pressure on a couple but, as I’d intentionally stayed away from focusing on the outcome, it felt easier. The principle here is to to focus on the process and trust that good processes lead to good outcomes in the long run. 2. Read Harry Potter. I’ve shared this story with many first years. I directed a lot of the pressure into reading Harry Potter. Now, of course, I don’t advocate you do that. But, I do think it is helpful to find something that completely distracts you – so, find your own Harry Potter. I remember my wife offering up my iPad anytime she felt I was feeling the pressure. Thanks JKR! In general, when I wasn’t in class, I made it a point to be home by myself. I preferred solitude to hearing the constant chatter about “the latest and greatest.” I was on a light course load during that quarter and had plenty of time to myself. I spent this time researching about companies, reading Harry Potter and sleeping – my antidote to the pressure. 3. A 2nd year support group. I had a small group of 2nd year friends who I stayed in close touch with during the process. I engaged a couple of them on helping me with most aspects of the interview and another couple who helped me exclusively with cases. I kept this group informed of everything that was going on and vented, on occasion, to them. While I knew I could count on them to never mince words if I was doing something wrong, they were also generous with their time, energy and support. All of this helped give me plenty of perspective and was incredibly helpful. So, if you are a 1st year going through the process, keep plugging away. The one thing that is worth remembering is that this is one of many job switches in the coming years. Focus on the long term outcome and use the process to learn how to approach finding a job better. This is definitely hard.. but it also definitely helps to keep perspective. There are a a few billion people who’d love to be in your place. And, if you’re a 2nd year, I hope you’ll remember to balance being direct with your feedback and generous with your hugs. 1. I’m in, Now what? – An attempt at helping you structure your transition to school once you are admitted. To have a shot at retaining employees, you have to first accept they will leave. To have a shot at making the sale, you have to accept that the customer may have no real need for your product. To have a shot at exercising regularly, you have to first accept that it won’t happen unless you intentionally find place and energy for it in your schedule. To have a shot at maintaining deep relationships, you have to be willing to let those you love go. To have a shot at success in your project, you have to be willing to accept that it might not work. To have a shot at becoming a better person, you have to first accept that your natural instincts will likely not lead there. It feels easier to hold onto ideas that pre-suppose success and change – as if they were so easy. The keyword in that sentence is to “hold on.” Holding on always feels easier. Letting go is hard. But, to be able to lead change, we need to be able to accept change ourselves. 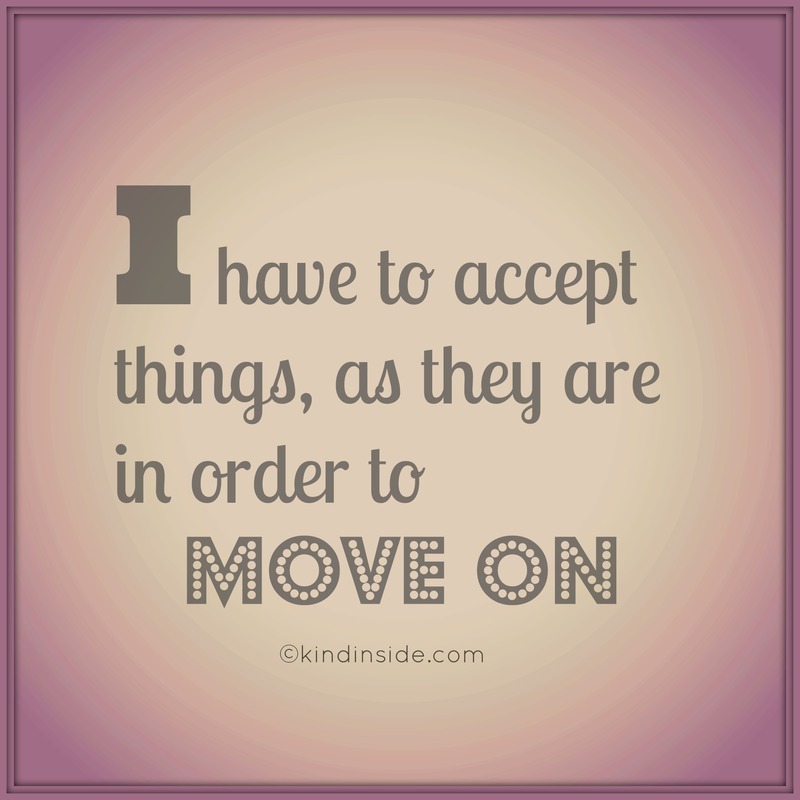 Again, the counter intuitive shows us the way – the first step in being able to change is accepting things as they really are and not as we want them to be. Is it a break from distractions to do work? Or a break from work to get distracted? The former is what happens when we just go with the flow. The latter, on the other hand, requires us to be intentional. Maybe living without intention is more existing than living. HT: Cal’s book on Deep Work. More will follow in the coming weeks on lessons from the book. Rhythms are defined as a strong, regular, repeated patterns of movement or sound. We regularly get into rhythms in our life – a morning routine, a way of easing our way into focus on a particular topic, among others. Good rhythms, like everything that is meaningful in this life, are hard to create and easy to break. I wrote last Monday about how I’d broken my morning routine rhythm the previous week. Sure enough, it was disrupted all of last week as well. It is today when I felt myself get back to something that resembled my usual routine. You see this happen all the time in sports – teams who see a winning streak broken suddenly lose many games, teams that never let a goal in for many matches let many in, and strikers start scoring goals every game.. until they don’t and then struggle to get their scoring streak back. Understanding rhythms requires us to understand Newton’s first law of motion. Momentum of any kind, as a result, is hard to change. This beautiful principle has two important implications. First, we must consider designing our days in ways we can find momentum on various projects. If you’re planning to work on a project, set aside a 3 hour block to do so. It’ll give you time to dig deep. Second, we must take a step back and consider the various routines and rhythms that we’d love to have in our ideal lives. Once we identify them, we must get to work on making them part of our lives – one at a time. After all, As Newton wisely identified, things are not likely to change unless acted upon by an external force.